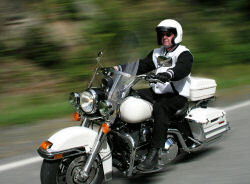 The Massachusetts motorcycle accident lawyers at Breakstone, White & Gluck of Boston promote safety through education. We have over 80 years combined experience handling personal injury, motor vehicle accident and bicycle accident cases. If you have a case, contact us today at 617-723-7676 or use our contact form.